Malaysia Anti-Corruption Commission (MACC) assures today that the Global Witness video case, which exposed alleged corrupt dealings implicating Chief Minister Tan Sri Abdul Taib Mahmud, is still being investigated.MACC deputy commissioner (Operations) Datuk Seri Shukri Abdull also denied claims that the commission did not investigate many cases, especially those involving top politicians. The US$760 billion Norwegian Government Pension Fund Global (GPFG) – the world’s largest sovereign fund – had divested its stakes in WTK Holdings Bhd and Ta Ann Holdings Bhd, based on the recommendations from the fund’s Council of Ethics. MACC’s multi-agency task force a sham? SAVE Rivers said that many reports were lodged against Chief Minister Taib Mahmud as far back as “five or six years ago” and MACC had allegedly been “completely indifferent and quiet”. A coalition of Sarawak NGOs has accused the Malaysian Anti-Corruption Commission’s (MACC) latest announcement of a multi-agency task-force investigate allegations against Chief Minister Taib Mahmud as just another ‘sandiwara’. The parliamentary secretary today rejected a question by DAP’s Segambut MP Lim Lip Eng on the Malaysian Anti-Corruption Commission’s (MACC) action against Sarawak Chief Minister Abdul Taib Mahmud. Lim told reporters at a press conference outside the Dewan Rakyat today that his question was rejected by Dewan Rakyat secretary Rosmee Hamzah on the basis that it was a “hypothetical” question. A new video campaign has been launched by Global Witness today, aimed at pressuring on global banking giant HSBC for dealing with logging companies operating in Sarawak’s forests. The “mockumentary-style” four-minute video stars British entertainer William Edgar Oddie who narrates how HSBC – against its own policies – is funding companies flouting international forestry standards. Taib was cast into the international spotlight after Global Witness released a video documentary alleging the state Barisan Nasional chief to have received millions of ringgit in kickbacks over land deals. Goldman Sachs Inc has been flayed for underwriting RM4.87 billion (US$1.6 billion) in bonds for Sarawak’s energy corridor projects and ignoring alleged corruption in the East Malaysian state by activist group Global Witness. Naughty seems to be the byword in Sarawak. The long-serving state chief minister Tan Sri Abdul Taib Mahmud used that word today to describe the Malaysian Anti-Corruption Commission’s (MACC) for its investigations into alleged graft in timber land awards. “They don’t deserve my cooperation because they have been naughty… and they have not been honest,” he told reporters in Kuala Lumpur. Screenshot of one of the scenes in the video clip as released by London-based activist group Global Witness.KUALA LUMPUR, March 31 — Sarawak’s Dayak corporate chiefs are reportedly seething with rage over a video exposing racist remarks by some prominent state personalities with close government links and want Putrajaya to address their economic woes. 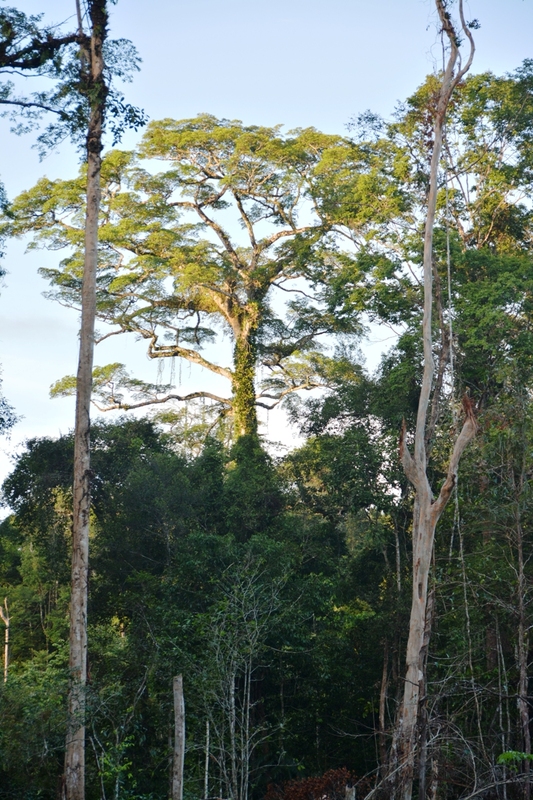 A provocative video about alleged corruption and illegality concerning land deals and logging within Sarawak has stirred the masses here. So we wanted to talk to the people directly responsible for the video: Global Witness. 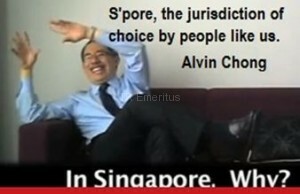 Singapore is “the jurisdiction of choice by people like us”. This boast by rogue lawyer Alvin Chong of Sarawak, caught on video by journalists from London-based Global Witness posing as investors interested in land deals, has gone viral. The “people like us” presumably includes the minions and their corrupt politicians in Asia, as well as tax dodgers, and criminals who erstwhile had sheltered their ill-gotten wealth in Switzerland. The Malaysian Citizens Initiative handed over a petition containing 14,000 signatures to Prime Minister Najib Tun Razak calling for action against Taib Mahmud. A coalition of NGOs calling themselves Malaysian Citizens Initiative want an “immediate” response from Prime Minister Najib Tun Razak on its call for the Malaysian Anti-Corruption Commission (MACC) to be given an “unambiguous mandate” to investigate Sarawak Chief Minister Taib Mahmud. Lawyer in Global Withness’s video was SUPP advisor, is SUPP involved in the Scams? The video exposé by London based Global Witness has turned public focus from Sarawak DAP’s internal strive to SUPP once again. Sarawak DAP has taken its nemesis Sarawak United Peoples Party (SUPP) to task over its ‘deafening silence’ regarding the ‘candid’ and ‘explicit’ interview given by SUPP “legal advisor” Alvin Chong in the covertly recorded Global Witness video which has garnered over 695,110 viewers on YouTube. Sarawak DAP believes Chief Minister Abdul Taib Mahmud will not take legal action against the London-based NGO Global Witness, as this could open up a can of worms. “What has been exposed so far is just the tip of the iceberg,” said state party secretary Chong Chieng Jen (left). “We believe that the right thing for him (Najib) is that he should actually ask for things to be made right, in accordance to the pledge,” Low told a press conference at TI-M headquarters in Petaling Jaya. Transparency International Malaysia (TI-M) president Paul Low said Prime Minister Najib Abdul Razak, who last month signed the organisation’s election integrity pledge, should “nudge” Sarawak Chief Minister Abdul Taib Mahmud into addressing the alleged abuses in the Global Witness videos. Mainstream media, or BN’s shrill mouthpieces? A friend used to call Malaysia’s mainstream media the daily comics. It made him laugh with all the stories that they came up with, and how wonderful life is in Malaysia. I never knew what he meant until I returned home last year to work in Kuala Lumpur. And, boy, was I amazed with the ludicrous coverage in print and television. The prime-time television news is rubbish and should aptly be called the Comedy Hour. Instead of producing well-researched, intelligent and relevant news, some private stations produce drivel, innuendo and calumny. 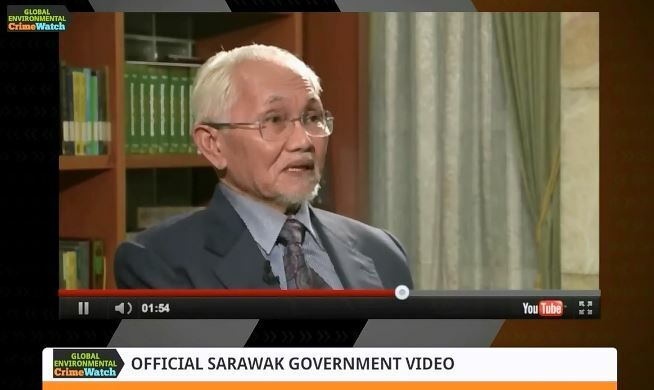 Sarawak Chief Minister Abdul Taib Mahmud has fingered PKR supremo Anwar Ibrahim for videos accusing the former’s family of corruption that was released by international NGO Global Witness. Taib said Anwar (right) had used his strong links with international NGOs to bring the Sarawak state government into disrepute on the international stage, according to a report by the Sunday edition of Berita Harian. It has become increasingly clear that many of our leaders are out of touch with the realities of everyday living for the less monied. When our own prime minister says that RM50 a month is enough money for a family’s groceries, you wonder if his accountant is spiking his Kopi O with happy pills. Singleton me spends at least RM50 a week on groceries, not including the food for my two cats. RM50 a month would have me eating nothing but eggs and rice with maybe the occasional can of sardines. Squattersgate :They Look At Us Like Kings? MP Norah Abdul Rahman’s nephew being trained to think he is a King of the poor – Norlia’s son hands out Ang Pow to the poor kids in Tanjung Manis. The people of Sarawak are still digesting the arrogance of the Abdul Rahman sisters, revealed in the Global Witness expose on the land grabs this week. It is a common thing in Malaysia for many politicians to live way beyond their means. And although there are ways and means to check anyone’s wealth simply by tracking down their assets, these people live in relative peace being troubled neither by the police nor by their conscience. The embarrassingly weak retort by Sarawak Chief Minister Abdul Taib Mahmud to the recent crystal-clear Global Witness video expose of his timber corruption virtually confirms his guilt. The video produced by the London-based NGO Global Witness captures the conversation between its undercover investigator and Taib’s first cousins,. PKR will use the Global Witness video which allegedly showcases Tan Sri Taib Mahmud’s involvement in shady land deals as part of its electoral campaign in Sarawak to break the Barisan Nasional (BN) chief minister’s chokehold on Malaysia’s biggest state. London-based activist group Global Witness’ video appears to implicate the state’s chief minister Tan Sri Abdul Taib Mahmud and his family, with parts of the clip aired on the Al-Jazeera news channel. Two lawyers secretly recorded in a covert video on shady land deals involving cousins of Tan Sri Abdul Taib Mahmud will face an inquiry and a criminal investigation for possible misconduct after the Advocates Association of Sarawak lodged a complaint with the police in Kuching today. The Advocates Association of Sarawak (AAS) wants the two lawyers implicated in the recent Global Witness video alleging corruption in the state to be investigated for possible professional misconduct. The video features recorded conversations with two Sarawak lawyers discussing illegal manipulation of local laws. Advocates Association of Sarawak (AAS) has lodged police reports against the two practicing lawyers implicated in the ‘Global Witness’ video exposé. CM Taib may have to step down before GE13: INI KALI LAH TAIB MEMANG KENA! The Malaysian Anti Corruption Commission (MACC) has been uncharacteristically quick to say that they will look into video reports apparently implicating long-serving Sarawak Chief Minister Taib Mahmud in allegedly shady land deals which, from all accounts, have resulted in considerable lost revenues to the state and Federal coffers while virtually robbing the affected kampung (village) folks of their Native land. The Global Witness’s investigative reporting has turned up evidence on film which the authorities will be unable to ignore or sweep this time. A lawyer in the centre of an explosive video expose that implicates the family of Sarawak Chief Minister Abdul Taib Mahmud in alleged shady land deals has claimed he was trapped by an international activist organisation. Huang Lung Ong told The Malay Mail by phone from Sibu yesterday: “I was trapped. I was consulted on legal matters regarding land,” he said. “Why should I speak about the chief minister?” A partner of law firm Huang & Co fumed. The Malaysian Anti-Corruption Commission (MACC) “will act accordingly” on information revealed in a sting operation by NGO Global Witness on backroom negotiations by relatives of Sarawak Chief Minister Abdul Taib Mahmud. MACC director of investigations Mustafar Ali (below right) in a in a text-message response to Malaysiakini said a file had been opened based on previous corruption allegations against Taib. Taib Blames His Own Uncle And A Conspiracy To “Frame” Him! The strain on Taib was there for all to see yesterday, after the corruption video exposing his family and his entire regime went viral. Speaking to journalists on camera yesterday a rambling Chief Minister attempted to appear jovial and easy-going, but his anger was barely concealed.